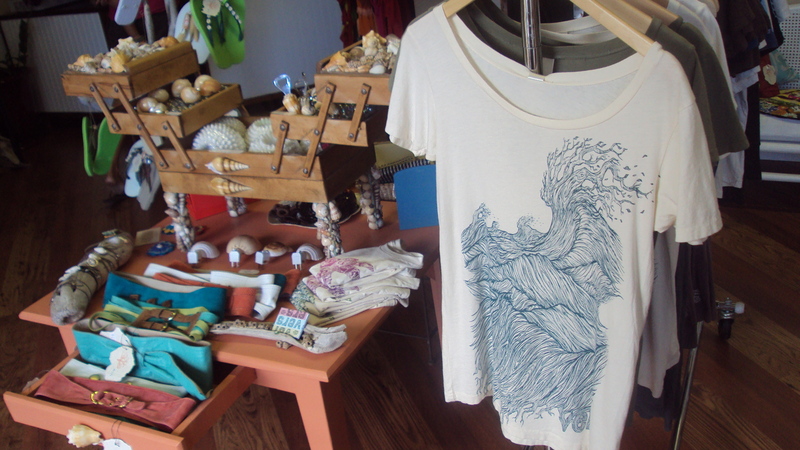 If you haven’t been to Drift boutique in Kaimuki for a while, it’s well worth popping in. The owners, Laura Ivy and Alessandra Klein, are constantly scouting for new, local, eco-friendly designers, as well as editing all their offerings. For example, they discovered that although their yoga line from Brazil is super-cute, it’s also super-small, so they’re discontinuing it. Does anyone out there have a line of yoga clothes for them? And of course Alessandra was there working hard on her latest line of ocean-inspired jewelry. She uses a lot of imagination when she puts her pieces together. The result is an eclectic mix of beachy hippie chic with a little edge. 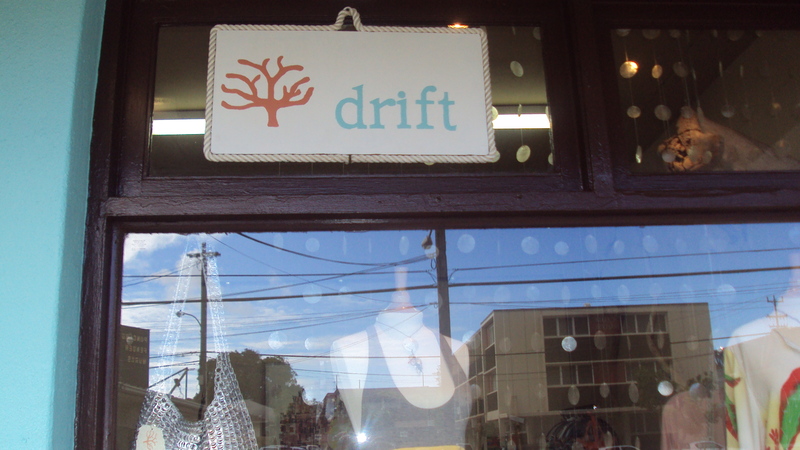 Find Drift at 3434 Waialae Avenue, on the mauka side of the street. You’ll be glad you did. Drift is one of my favorite boutiques. I love the way the boutique looks but also the mix of fashions and accessories. But Laura is such a delightful person. She makes everyone who walks in the store special. Great to follow your eye for fashion Paula. I really am looking to connect with you but can not seem to find your email or a phone contact anywhere. Let me know how best I can reach you directly.